A fish fry, varsity basketball, bowling, Tai Chi, pet adoptions, tax assistance, and art classes are what’s going on this busy weekend! Kiwanis Chili Cook-Off from 11:30 a.m. to 2 p.m. at Signs of the Times, 18 East Hobson Avenue in Sapulpa. In lieu of the regularly-scheduled Thursday meeting, come to Signs of the Times and eat some chili with all the fixin’s and then vote for your favorite one! For more information or for questions email: rednbenji4@att.net or visit the Facebook page here. Lunch and Learn Soil Testing Workshop at noon at the Caring Community Friends Garden, 14 West Burnham Street in Sapulpa. This event will be conducted by Creek County OSU Cooperative Extension Service. Please bring your own lunch! For more information please visit the Facebook page here. Date Night! Paint Your Partner Challenge! 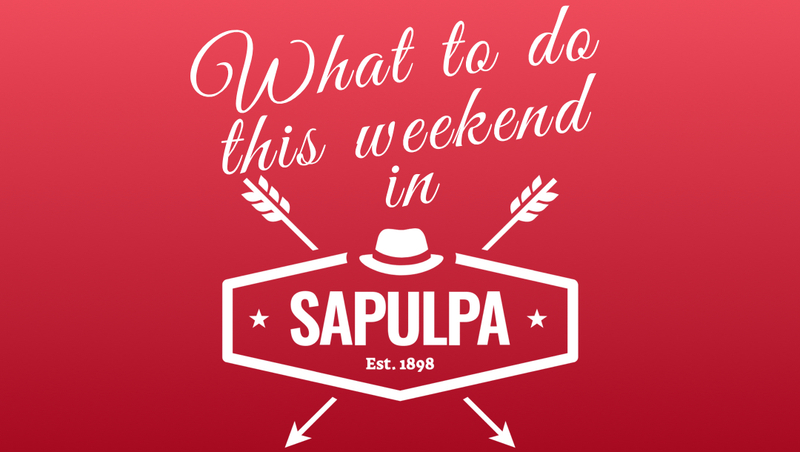 From 6 to 9 p.m. at The Painting Gypsy Studio, 619 North Mission Street in Sapulpa. The $15-per-couple cost includes 2 ceramic pieces of your choosing and a studio fee. You may add details like hair and eye color, favorite t-shirt color, facial hair, etc. They will be here to help you along the way. Come out for a fun, creative date night! For more information or to purchase your tickets please visit the Facebook page here. 8 Ball Pool Tournament League on Thursday nights at 7 p.m. for 13 weeks at VFW Post 1320, 1201 West Dewey Avenue. It’s $5 per session and is open to the public! For more information call 918-512-8286 or 918-227-1320. Elks Monthly Fish Fry from 5 to 7:30 p.m. at the Elks Lodge, 24 South Poplar Street in Sapulpa. Come join us for our monthly fish fry for only $7.50 a plate! You’ll find good food, good times, and great people! For more information please call 918-224-1118 or visit the Facebook page here. Ombre Mug Painting Night from 6:30 to 8:30 p.m. at The Painting Gypsy Studio, 619 North Mission Street in Sapulpa. Costs are $12 for a 12 oz mug and $15 for a 16 oz mug. You pick your colors and ombre style and they will walk you through the rest. The price includes the mug, glaze, and studio fee. This could be a fun date night or girls night, and kids are welcome too! For more information please visit the Facebook page here. Sapulpa Chieftain Varsity Boys Basketball Game versus Booker T. Washington at 8 p.m. at the Chieftain Center at Sapulpa High School. For more information please visit the team’s schedule here. Girl Scout Cookies Go on Sell! Find your favorite Girl Scout and buy some of their delicious cookies! All proceeds from your purchase stay local. Pet Adoptions at PetSense Sapulpa from 12 to 3 p.m. at 315 East Taft Avenue. Come out to the Sapulpa Petsense and adopt a new furry best friend! They will be offering a free pet ID tag with your new adoptee or you may purchase one for $5 each. They will also be offering microchipping for dogs or cats. The cost is $20 with lifetime registration. There will be limited quantities, so it’s first come first serve. They will have T-shirts for sale also and information on fostering or volunteering, plus, you can purchase raffle tickets (1 for $5 or 5 for $20) for your chance to win a dog-themed pet basket! For more information, please visit the Facebook page here. Valentine Painting Class at 2 p.m. at Vintage Rose Boutique & Flower Shop, 105 East Dewey Avenue in Sapulpa. Come enjoy a fun afternoon with friends and paint a Valentine door hanger! The cost is $28 per person. You may choose between three different designs. Please call to claim your spot as class size is limited. Call 918-224-0254 to reserve your spot and visit the Facebook page here for more information. Kids Mermaid Canvas Painting Class from 4 to 5:30 p.m. at The Painting Gypsy Studio, 619 North Mission Street in Sapulpa. This instructor-led class is $15 per painter and comes with an 8 x 10 canvas with an outline. If you have any special seating requests you can include it in the note section when you purchase your ticket. For more information and to get your ticket, please visit the Facebook page here. Oasis Adult Day Services Discovery Enrichment Program Open House from 4 to 7 p.m. at 410 East Lee in Sapulpa. Come see how the most amazing people are the ones who don’t fit into boxes! Oasis offers education, art, music, drama, exercise, socialization, and life enrichment skills. Every day they are breaking down barriers and offering new opportunities to empower these people with their amazing abilities to lead more independent, dignified, and purpose-driven lives. For more information please visit the Facebook page here or call 918-224-0410. ← Nature Knows Best: To grow or not to grow?